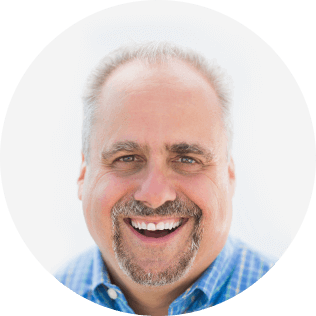 Ron Carucci is co-founder and managing partner at Navalent, working with CEOs and executives pursuing transformational change for their organizations, leaders, and industries. He has a thirty year track record helping some of the world’s most influential executives tackle challenges of strategy, organization and leadership. From start-ups to Fortune 10’s, turn-arounds to new markets and strategies, overhauling leadership and culture to re-designing for growth, he has worked in more than 25 countries on 4 continents. In addition to being a regular contributor to HBR and Forbes, he has been featured in Fortune, CEO Magazine, BusinessInsider, MSNBC, Inc, Business Week, Smart Business, and thought leaders. He has helped CEOs, their executive teams, and their enterprises redesign themselves and build appropriate leadership strategies to ensure the current and next generation of leaders have the capabilities required by the organization. He has been chief architect of several major leadership development simulations and curriculums for global organizations focused on developing high-potential executive talent and connecting strategy execution to leadership capability. Ron is a former faculty member at Fordham University Graduate School as an associate professor of organizational behavior. He has also served as an adjunct at the Center for Creative Leadership. His clients have included CitiBank, Corning, Inc., Lamb Weston, The Hershey Company, Bristol-Myers Squibb, Amgen, Deutsche Bank, Gates Corporation, Edward Jones Investments, ConAgra Foods, TriHealth, OhioHealth, Del Monte Foods, Midnight Oil Creative, Weyerhaeuser, McDonald’s Corporation, Starbucks, Microsoft, Sojourners, The Atlantic Philanthropies, Kleiner Perkins Caufield & Byers, Cadbury, Miller Brewing, the U.S. Patent & Trademark Office, Price Waterhouse Coopers, Johnson & Johnson, ADP, and the CIA. Building deep connections with those we influence is fundamental to the degree of impact we want to have. There are some people who just have a knack for penetrating even the hardest of human exteriors and convincing people to get past what’s familiar and do the unimaginable. Regardless of their profession, they all have one powerful thing in common. The way they connect. Known formally as “attachment,” the ways they construct genuine relationships with those they want to influence melts away natural defenses and opens others to possibility, new ideas, and ultimately, commitment to change. There are six dimensions great coaches employ to help develop genuine, healthy attachment with those they want to influence. And each of those dimensions, when over extended, has an unhealthy side. This session will explore each dimension, how to cultivate it, and look at the “dark side” of each that all of us can fell prey to. It’s been known for decades that failure rates among transitioning executives are too high, leaving exorbitant costs, damaged organizations and careers behind. But little has changed in the way organizations prepare leaders to assume executive positions. Though between 50-60% of newly appointed executives fail within the first 18 months being assigned, the same approaches to preparing, selecting, and onboarding remains in place. Based on a ten-year award-winning longitudinal study of more than 2700 leaders, this session will help those coaching rising leaders on how to avoid the most common pitfalls that derail promising talent, and how to cultivate the four dimensions of leadership that consistently set apart the other 50% of those who succeeded and thrived once appointed to bigger roles.